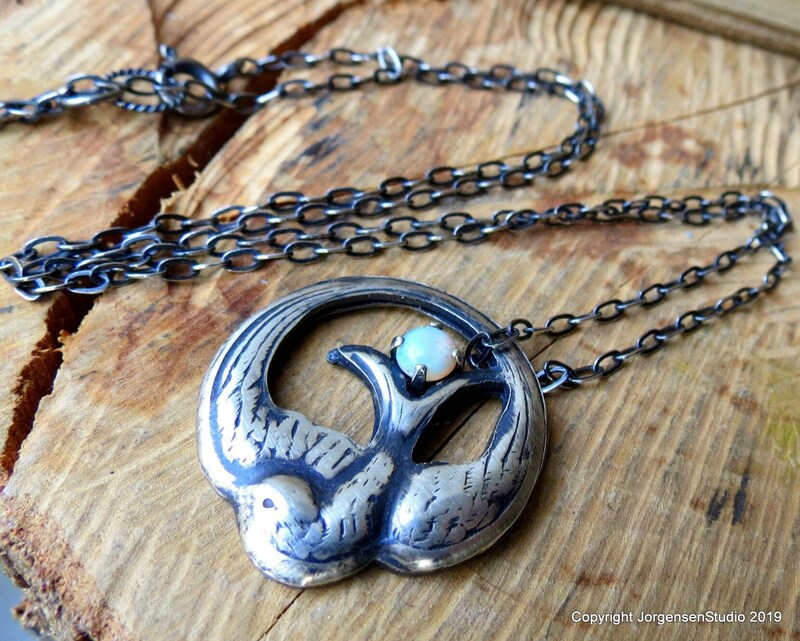 A graceful vintage style swallow wraps its wings to create this lovely circle pendant. 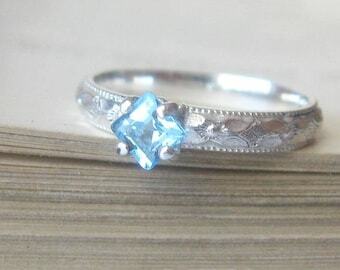 Made from a copy of a victorian hand carved die this is a piece of jewelry history. If you know me you know I am slightly obsessed with Victorian jewelry. Such an amazing time for craftsman and rich detail. This piece is vintage victorian style but classic and timeless as swallows have become popular again. 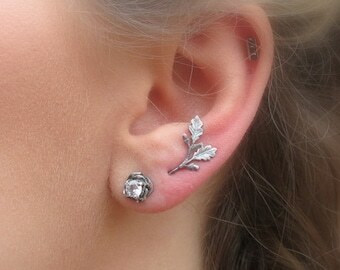 Entirely handmade by me in my studio from Sterling silver. I have patinaed the silver to give it a more vintage look and make the opal and the detail stand out. This piece is ready to ship out as shown. * Comes on an oxidized silver 19 inch chain - can be shortened upon request. Because each of my pieces are handmade start to finish by me in my studio, this item can be custom ordered with other birthstones/gemstones and also in a bright silver finish. Please contact me for choices of gems and pricing.